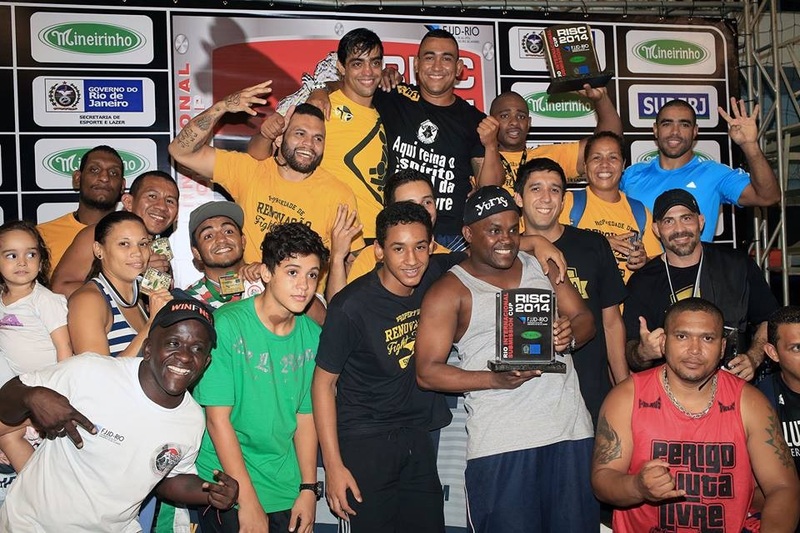 On 18th November 2014, the Renovacao Fight Team (RFT) won for the fourth successive year the RISC (Rio International Submission Cup) reaffirming its hegemony in no-gi fighting. The Team secured a total of 44 Medals (20 gold medals, 12 silver medals and 12 bronze medals) at the event. With these results, the RFT proved one more time to be the best organized and most successful Luta Livre Team of the World. At the tournament’s day was Team Leader, Mestre Marcio Cromado, in the United Stated of America coaching Andre Chatuba by his Debute at Bellator. Happy with this result he said "We need more competitions for our athletes to be tested and where they can put into practice the hard training we have in our academies. It's always an honor for us to participate in well organized events like this […]". The second place went to a united Team of many other Luta Livre clubs. However, the RFT was able to finish with 58 points over this united Team. RFT is current present in Brazil, Unites States of America, Germany and Mexico.